After retiring from the Army in 1980, he was a financial advisor with a major investment firm for 29 years. He now devotes his time to his family, his writing, his guns, and travel. Married in 1960, he and his wife Mary have two married daughters and four grandchildren. 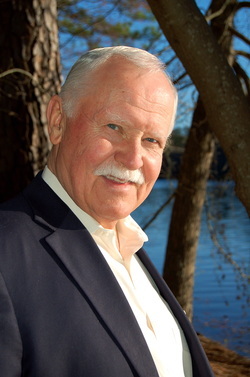 He is a gun enthusiast, life member of the NRA and VFW, and is active in Sertoma. He is often found on Seabrook Island, S.C.
His first novel, “No Good Like It Is,” is a winding tale of violence, tolerance, and changing racial acceptance. 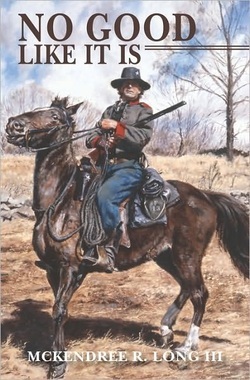 In it, two hard-bitten Confederate cavalrymen barely survive the Civil War, riding with the famed Eighth Texas Cavalry. They then must struggle home to the Texas Panhandle, while accumulating enough misfits and strays to populate a small village. This rowdy historical fiction is filled with rich characters, both real and should-have-been. A sequel, “Dog Soldier Moon,” is in the works. In this sequel to his novel, NO GOOD LIKE IT IS, McKendree Long continues the saga of Dobey Walls and Jimmy "Boss" Melton during the three years following the Civil War. 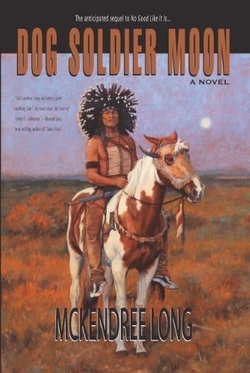 In DOG SOLDIER MOON, a great crime decimates the tiny Panhandle community of Canadian Fort, twisting relationships and putting Dobey and the Boss on a trail of retribution and frontier justice, yet unaware that they are the targets of two Pinkerton teams. Black Kettle, Meotzi, the 'Boy General' Custer, and J.B. Hickok flesh out the cast in this all new classic tale. “No Good Like It Is” is Historical Fiction in which the protagonists, Lieutenant Dobey Walls and Corporal Jimmy Melton, meet and bond at Fort Gibson, Indian Territory in 1858. Book One follows their pre-war western service, then tracks them through their Civil War combat with the Eighth Texas Cavalry (Terry’s Texas Rangers). They are part of the first and final cavalry charges of the Army of Tennessee, play a strange but factual role in the Fort Pillow Massacre, and ride with Shannon’s Raiders, nipping at Sherman’s flanks into the Carolinas. With surrender of the Confederacy imminent, their regimental commander learns where Dobey’s long missing family is and orders the two men to “recon to the West,” in effect to head home before they can be ordered to give up their guns and horses. Book Two is the story of their trek from North Carolina to the Canadian River in the Texas Panhandle. Trying to travel light and fast, they’re slowed by encounters with love-starved widows, smugglers, bootleggers, freed slaves and runaways. Then there are the murderous Home Guard, riverboat thugs, Union deserters, renegade lawmen, a drunken dentist, his prostitute assistant, pitiful refugees, and finally General Stand Watie and his Confederate Cherokees. From these run-ins, they assemble a small army of strays to accompany them ‘home.’ The rag-tag group arrives at Canadian Fort, Texas, just in time to drive off a Comanche attack on Dobey’s family. In the final leg of the Superstition Gun Trilogy (behind NO GOOD LIKE IT IS and DOG SOLDIER MOON) Dobey and Boss Melton continue their protracted search for the survivors of the gang of rapists/murderers introduced in DOG SOLDIER MOON. Wild Bill Hickok is again featured, but the focal point is Custer's Last Stand as seen from both sides of the battle. Brodie Dent wakes up in a brothel in 1879 Sweetwater, Texas, to learn that a robbery and murder have occurred downstairs. The young ex-Ranger is quickly drafted to join the crusty town marshal on a vengeance ride, as the Marshal’s girlfriend was the murder victim. The only witness to the crime is the thirteen-year-old brain-damaged son of the murdered prostitute, and thus the boy must accompany Brodie and the marshal. When the bandits abduct four women in nearby Tascosa, the mission of the posse changes from revenge to rescue, then to escape and later back to vengeance. In the process, a strained romance blossoms between Brodie and one of the kidnap victims, a woman both married and pregnant. 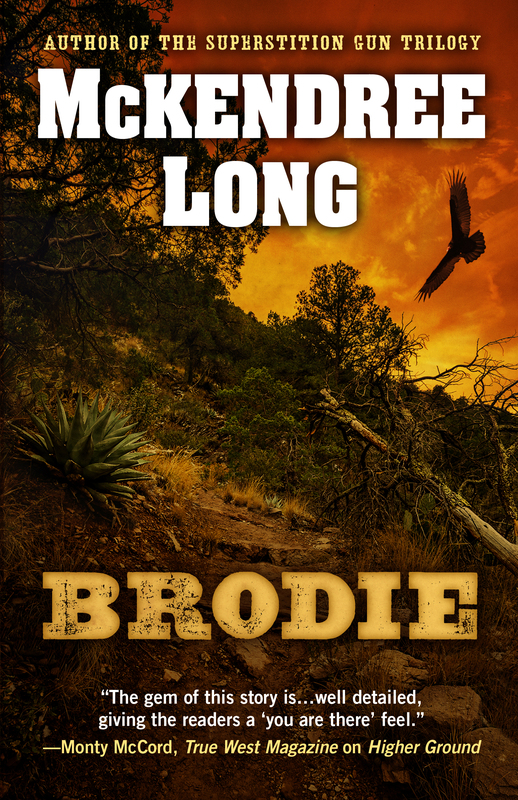 Brodie is horribly wounded in the rescue―a development that later saves his life.